H&A are hosting a Family Fun Day on Sunday 19th August 2018. 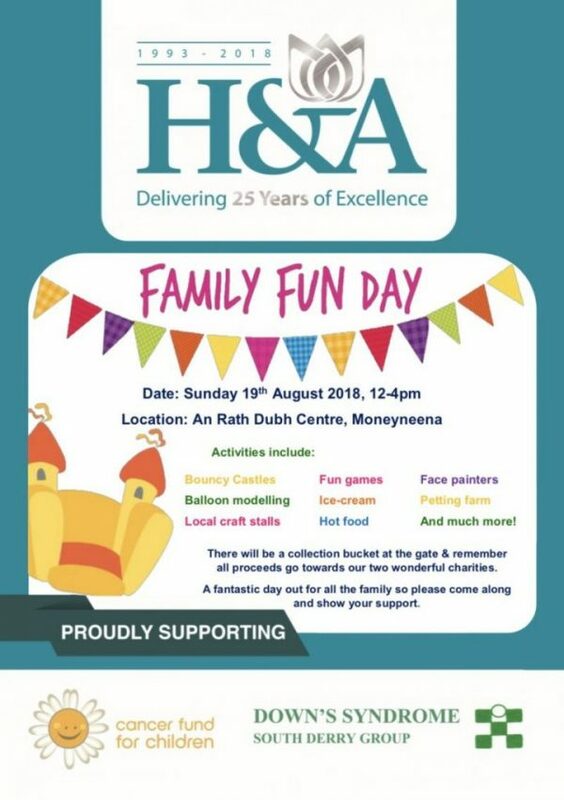 The Fun Day will be held at the An Rath Dubh Centre in Moneyneena & will run from 12 – 4pm. There will be lots of activities for you and your family to enjoy including bouncy castles, fun games, face painters, balloon artists, local craft stalls, a pet farm, ice cream, hot food and much more. It is sure to be a great day out for all the family so please do come along and enjoy the day.